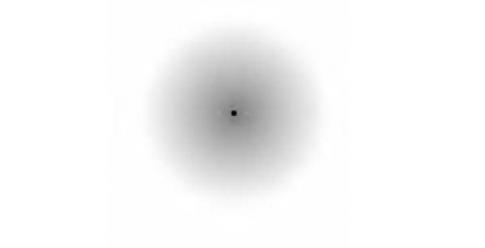 Try staring at the dot in the center of this image, after a time the grey area around the dot will seem to shrink and disappear. these are awesome i like the Jesus one the best because i go to a Catholic School. then i like the rock & roll one. it really works!!!! im amazed!!!!!!!! I like the james dean one, it's so beast. before I even looked at it i could tell it was James Dean. It doesnt work for me i dont know what your talkin about!!!!!!!!!!!!!!!!!!!!!!!!!!!!!!!!!!!!!!!! yes the grey mist around the dot did disappear and fade freaky!!!! what is explaination of that?.. that is vary cool Yo! HEYYYY that totally did not work for me it shrinked a little bit but, did not dissapear all together. this is just messed up!!! This is cool! Except it doesn't fully disappear. cool but i can still see some!!!!!!!!!!!!!!!!!!!!!!!!!!!!!!!!!!!!!!!!!!!!!!!!!!!!!!!!!!!!!!!!!!!!!!!!!!!!!!!!!!!!!!!!!!!!!!!!!!!!!!!!!!!!!!!!!!! It looks like the sun is coming up behind the illusion making it disappear and reappear every second you look at it.Really cool keep them coming! The grey disappeared. Oooooooooooooooooooh yeah! When you focus on the dot, you don't focus as much on the grey area around it, so it appears to fade out as it goes out of focus.